Imagine yourself as a magazine cover star, a respected speaker and representative of a national organisation. These are just some of the opportunities that await the winners of the 2019 AusMumpreneur Awards. Proudly presented by AusMumpreneur and The Women’s Business School, the AusMumpreneur Awards this year celebrate our 10th Year in business! 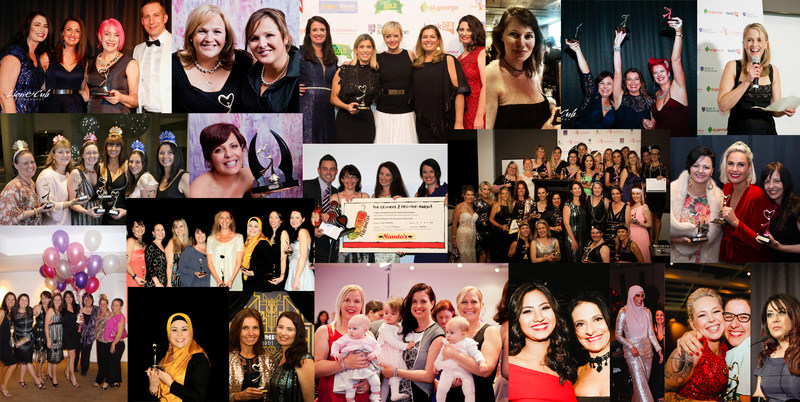 The AusMumpreneur Awards recognise the best and brightest in the Australian mumpreneur industry, acknowledging success in business, product development & innovation and customer service at a glamorous awards event held in Melbourne. Previous AusMumpreneur of the Year winners and finalists have been featured in national media including Sunrise, The Today Show, Today Tonight, Cosmopolitan, and the Herald Sun and The Australian since winning this award. At the AusMumpreneur Network our vision is to provide education, advice, information and a supportive place to connect for Australian mums in small business. The AusMumpreneur Conference and AusMumpreneur Awards are all about supporting Australian mums in business. This event provides a unique opportunity for women from all over Australia to come together to gain new skills, promote their business, connect with fellow mums in business, learn from leading business experts and celebrate the success of the best and brightest in the industry. So is 2019 your year to shine? Being named AusMumpreneur of the Year was such a milestone for us. One of our first awards that we ever won was the AusMum Award for Product Innovation back in 2010. And we have been inspired by so many women we’ve met over the years through the network. Being a mum in business is a truly unique experience and having an award framework that recognises this is empowering and necessary. It has been an honour to be the AusMumpreneur of the Year and we hope we have inspired other women to think big. With the right idea, support and networking, anything is possible. 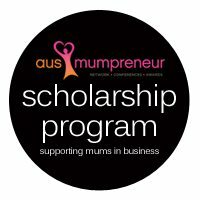 The awards entry fee covers our admin costs, includes a press release template (valued at $299) and $5 from from every awards entry goes towards supporting the AusMumpreneur Scholarship program enabling deserving mums in business to attend the AusMumpreneur Conference who would otherwise not have been able to afford to.